From Puerto Rico to Camden, Lakewood to Rockaway, Rev. Lyssette N. Perez has lived out her calling. If there is one Methodist who has faithfully and dutifully served to campaign for Hispanic and Latino Americans in the church, it’s Perez, whose passion and achievement have led her to become president of MARCHA (Methodists Representing the Cause of Hispanic Americans), the Hispanic/Latino caucus within the denomination. The 45th assembly for MARCHA met Aug. 4-7 in San Juan with a theme of “Embracing New Horizons.” More than 200 members in attendance passed resolutions calling on members to vote in the 2016 U.S. presidential election, calling for an end to discrimination against LGBTQ people in the church, and electing their new president, Perez. Perez beamed, “I now have the opportunity to sit at the Connectional Table to discuss the program [MARCHA] to the denomination and to advocate for all ethnic groups, not just Hispanics and Latinos.” Perez brings a lifetime of experience to that table as she has lived her call, exemplifying advocacy through years of service. As president of MARCHA, Perez is “confident and excited” to advocate for Hispanic and Latino ministries and communities both in and outside the church. “We need to fight against racism and oppression and welcome the stranger with a willingness to make people whole,” Perez stated. With a commitment to work in an ethnic environment, Perez’s leadership style is collaborative with an emphasis on motivating others to be a part of what she considers the MARCHA movement. “It’s a movement of inclusion,” she said, using the phrases, “I am MARCHA” and “We are MARCHA” to spur inspiration. “Many Hispanics and Latinos are bilingual, so you don’t necessarily have to speak Spanish to reach out,” Perez stated, stressing that New Jersey is one of the most diverse states in the U.S. “Just speak the language of love and provide opportunities for children and young people,” she added. Through her church in Rockaway, Perez hopes to create a living example of a vision that can be duplicated by others. Two years ago the church began a Hispanic / Latino ministry and before that provided a backpack ministry program for low-income families for six years. Over the last two years, the church has hosted a bilingual contemporary service open to the whole community. In both her pastoral position and as president of MARCHA, Perez vision is consistent. “The key is to reach out to all people,” she said. “In the midst of our diversity, we gather to praise God and build community. That’s what we celebrate; growing together as a community by taking risks and expanding and embracing, accepting and including.” To Perez, this is the biggest challenge yet at the same time, the prime opportunity to live out being the church. Born in Puerto Rico, Perez came to the U.S. in 1985 where she lived in Camden working as pastor of an African-American, Hispanic and Latino church. 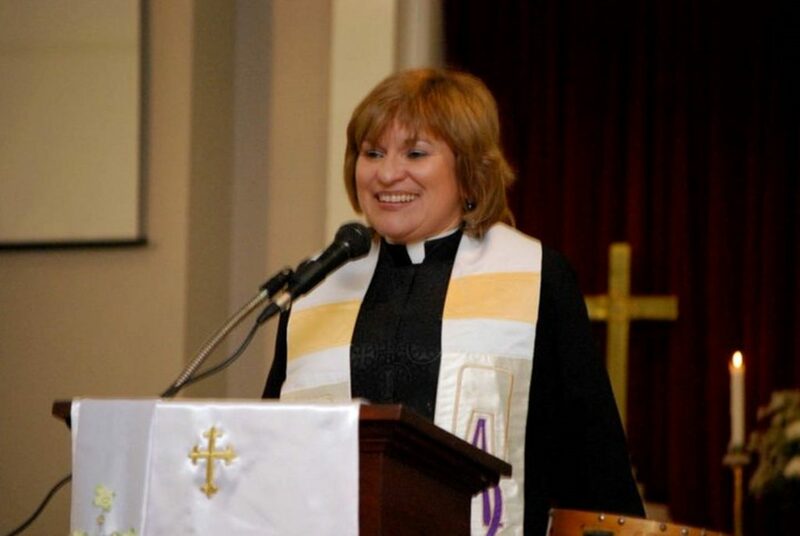 She became a United Methodist in the late 1980s, involving herself in what was then the Southern New Jersey Hispanic Committee at the conference level. Perez was a GNJ delegate to General Conference in 1992. In her 22 years of ministry, Perez has served the church in Camden, Jersey City, Lakewood, and now Rockaway where she pastors a multi-cultural reconciling church. From community organizing, interfaith bridge-building and ministry team coordinating, Perez has experienced a variety of ministry on the local, regional and global level.